You and Your Money: Paperwork, paperwork, paperwork! "Mike, what is with all this paperwork that I get?" Investments come with all kinds of paperwork. You will see it flooding your mailbox. Some people don’t even bother reading the mail. Instead, they wish it would go away. It comes to you because the law says it has to. Statements – a statement tells you how much your investment is worth. It may come monthly, quarterly, or annually depending on the company and how active you are. Confirmations – a confirmation is generated when you add money or take money out of an investment. It usually tells you the amount and execution date. Often, the confirmation will not tell you how much your investment is worth. Unless you understand the purpose of the confirmation, you may wonder why there is not account value. Prospectus – a prospectus gives you information about your investment. It discusses the risks and strategy of the investment. It usually comes on very thin paper and is often difficult to read. Many people wonder why these are sent out. The law requires the prospectus to be sent to every client. Tax information – You will get Form 1099 or K-1 from your investments. This is needed to prepare your taxes. Do I need to keep all of this paperwork? Fortunately, the answer is no. Much of this information is available on the internet. Investments have the current prospectuses available for download at any time. Most companies will have a way to log in and view your account, statements, and tax forms. Do I need to keep any of the paperwork? I highly recommend keeping your year-end statements and tax forms. Year-end statements are usually a good summary of what transpired during the year. Your tax forms are essential for preparing your taxes or during an audit. How do I get less paperwork in the mail? Many investment companies look to reduce costs and one way to do it is to send the information electronically. If you sign up for electronic delivery, you will save your investment money which in turn benefits the investors. I have created a special e-mail account just for my statements. This way the investment communication is easy to track and doesn’t get lost in my regular email. You can easily sign up for an extra e-mail account at any of the free e-mail companies, such as Google’s Gmail. Paperwork can seem like a never ending battle. 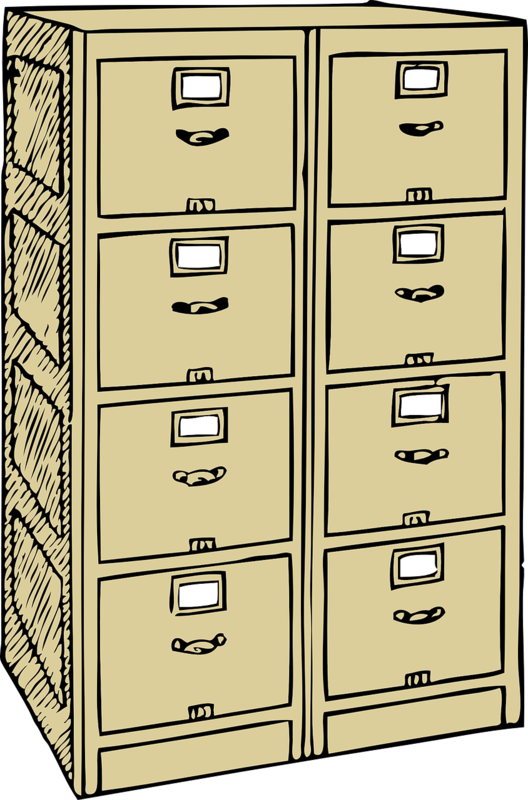 Knowing what to keep can help you save file cabinet space. Cleaning out the old, unneeded documents will also save space and really help your estate executors out when they have to deal with the records.